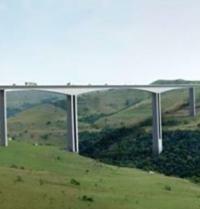 Construction of a flagship bridge project in South African has had to be stopped because violent protests have been taking place. 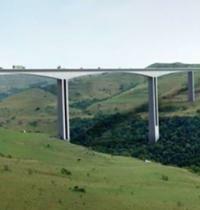 The independent checking team has been chosen for the temporary works needed to build the Mtentu River Bridge in South Africa. A municipality in South Africa is considering the installation of steel cages over some of its bridges to prevent rocks being thrown onto vehicles below. 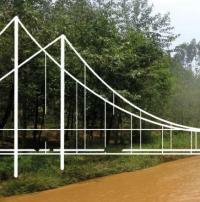 The South African National Roads Agency (Sanral) has launched a new tender process for a major cable-stayed bridge. The inquiry into the fatal collapse of a bridge in South Africa has been postponed to July 2018 following production of a new report. 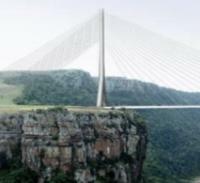 The inquiry into the M1 Grayston Bridge collapse in South Africa is resuming after being postponed. 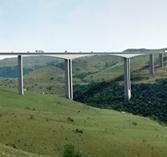 The South African National Roads Agency (Sanral) has awarded the tender for the 1.1km Mtentu Bridge. The African Development Bank has approved funding of US$804 million for projects including a 1.4km bridge in Abidjan, the economic capital of Ivory Coast.